This is the first summit on the hiking route up to the famous (or notorious) Aonach Eagach ridge. 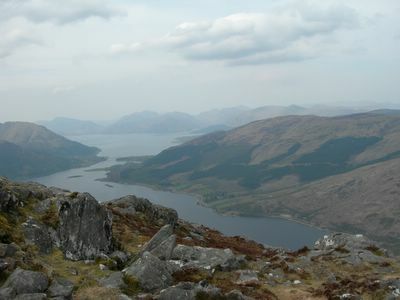 Although not a munro, it commands a great view over Loch Leven, the narrows at Ballachulish, and north to Ben Nevis and the Mamores. And as you're climbing from close to sea level, it's as good a climb as many munros in the Scottish Highlands! This story is by Richard Johnson, who stayed at Black Rock Cottage in Glencoe.